It’s difficult to find a more influential person in the history of Christianity than Paul. There wouldn’t be such a thing as Christianity without Jesus, but it’s doubtful whether anyone would know about Jesus if it weren’t for Paul. Originally Saul of Tarsus, he was a tent-maker by profession, a Pharisee by training, and a Christian evangelist by divine calling. The story of how he converted from one of the most notorious persecutors of the new religion to its most fervent adherent is quite well-known. While riding his donkey on the road to Damascus, he saw a flash of light and heard the voice of Jesus. Before his conversion, Saul of Tarsus was apparently a devastating foe of the early Christians, putting his encyclopedic knowledge of the scriptures to use to refute their claim that Jesus could have been the Messiah. 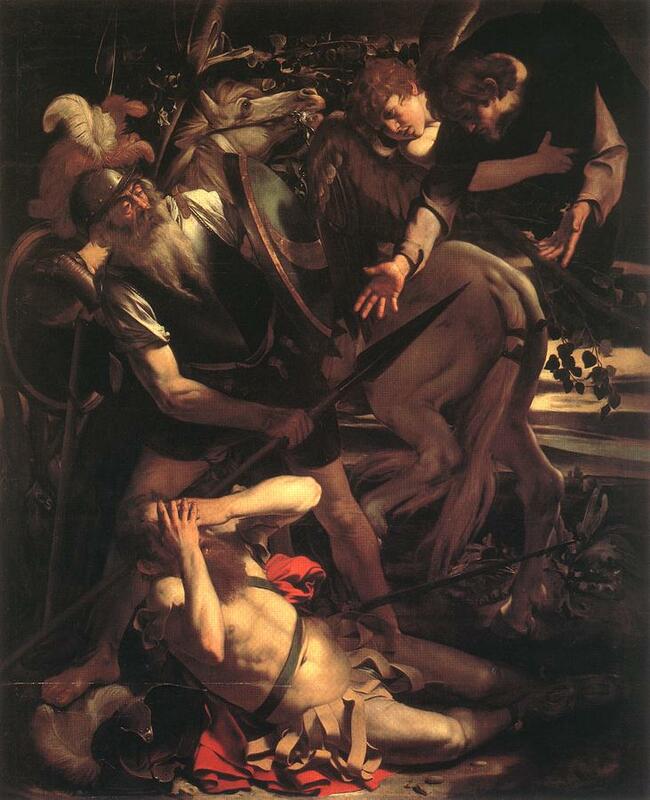 Saul’s persecution of the first Christians involved his marshaling all of the same passages that Ben-Judah was supposed to have studied here in order to disprove that claim. Later, of course, Saul famously changed his mind. But his mind was not changed due to his studying the scriptures. Indeed, once he changed his mind, he began to radically reinterpret those scriptures because his new beliefs required that he do so. But what changed Saul’s mind wasn’t the prophecies about the Messiah, it was his personal encounter with the risen Jesus. I think this is an important point to the would-be evangelists who insist that Christianity must be true because Jesus fulfills so many of the messianic prophecies in the Hebrew scriptures. Because, really, I don’t think there’s much evidence that he does. A lot of what these Christians (including the authors of the Gospels) considered prophecies weren’t originally intended that way, and authors disagree on how some of the genuine prophecies were fulfilled. (Mary and Joseph lived in Bethlehem before moving to Nazareth. No, wait, they were only there as part of a census that was run in a bizarre fashion.) Also, the stuff about the Suffering Servant most likely was never identified with the coming Messiah until AFTER Jesus had died. It seems more likely to me that people were FIRST attracted to Jesus and his message, and THEN thought of ways he could fit the messianic prophecies. This definitely appears to have been the case with Paul. This entry was posted in Christianity, Historical Personages, History, Religion and tagged acts, bible, jesus, pharisees, prophecies, slacktivist, st. paul. Bookmark the permalink. 5 Responses to Now Tell Me, Who’s This Paul? There are those who say that it was Paul who invented Christianity based upon the activities of a Jewish miracle-worker active in the 1st century CE . . . In fact, have a look at Hyam Maccoby’s ‘The Mythmaker: Paul and the Invention of Christianity’ (1986) which details the whole debate in a very perspicacious manner. Additionally, Maccoby has some other theories of his own about the figure of Saul/Paul, which might stem from the author’s Jewish background. Basically, his argument runs that Saul was a God-fearer who, failing to become accepted as a true Jew, went out and invented his own religion, known as Christianty in referrence to a Jewish miracle-worker. In addition to Maccoby, also try to have a look at the world of Geza Vermes. Particularly, his ‘Jesus the Jew: A Historian’s Reading of the Gospels’ (1973) and ‘Jesus in his Jewish Context’ (2003). I was cracking up over your subject line before I even read the article! Jesus had some pretty influential friends; maybe they bribed Paul to stop persecuting the Christians, and Paul then decided to go them one better and take over the whole movement himself. Could be, could be…. So you think they might have robbed Peter to pay Paul?